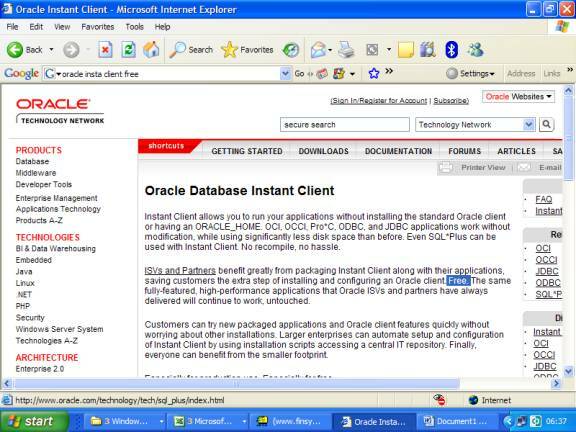 Instant Client allows you to run your applications without installing the standard Oracle client or having an ORACLE_HOME. OCI, OCCI, Pro*C, ODBC, and JDBC applications work without modification, while using significantly less disk space than before. Even SQL*Plus can be used with Instant Client. No recompile, no hassle. ISVs and Partners benefit greatly from packaging Instant Client along with their applications, saving customers the extra step of installing and configuring an Oracle client. Free. The same fully-featured, high-performance applications that Oracle ISVs and partners have always delivered will continue to work, untouched. Customers can try new packaged applications and Oracle client features quickly without worrying about other installations. Larger enterprises can automate setup and configuration of Instant Client by using installation scripts accessing a central IT repository. Finally, everyone can benefit from the smaller footprint. 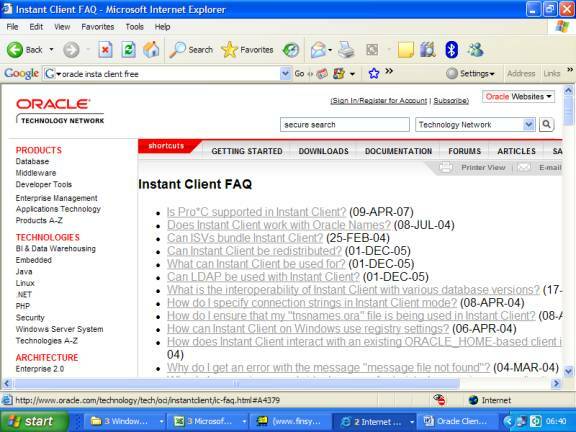 Can ISVs bundle Instant Client? 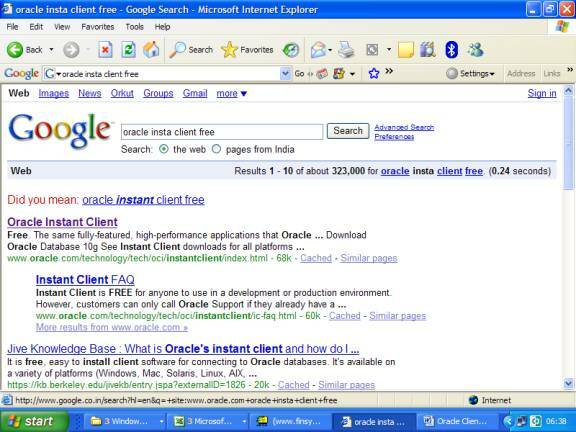 Instant Client can be bundled by anyone that can bundle the regular Client, including Embedded License holders. ISVs can redistribute Instant Client along with their own packaged applications for free. You may take the assitance of the MLG Team for any technical help. MLG Has also entered into a Strategic Arrangement with a Leading Oracle Distributor based in South Delhi. And we can get you the best prices possible. We strongly recommend you to purchase appropriate number of Oracle User Licences.